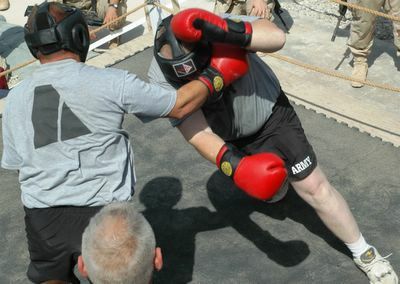 LTC Jeffrey Holmes, the commander at FOB Cobra, recognizes a truth of man: fighting can reduce tensions, and thereby improve fighting ability. 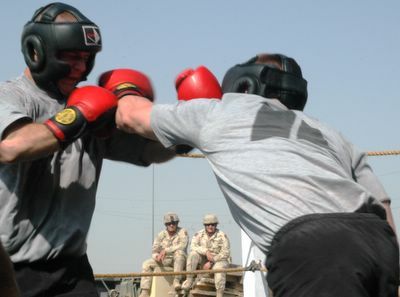 Any soldier at FOB Cobra is allowed to challenge any other soldier to step into the ring. 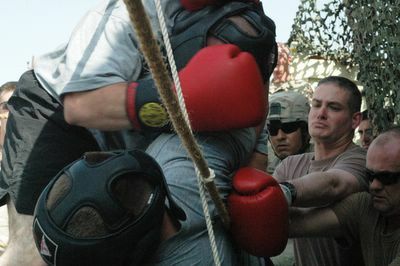 Two by two they entered the ring, while soldiers with smiles and automatic weapons rooted for their buddies, but mostly for a good fight. There were favorites, sure. But what the men enjoyed most was tenacity and punches, and men who could suffer yet keep going. 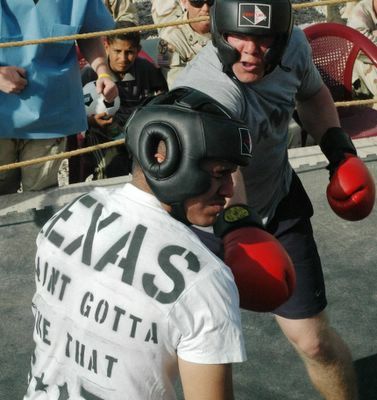 Nobody really cared where the fighters came from. 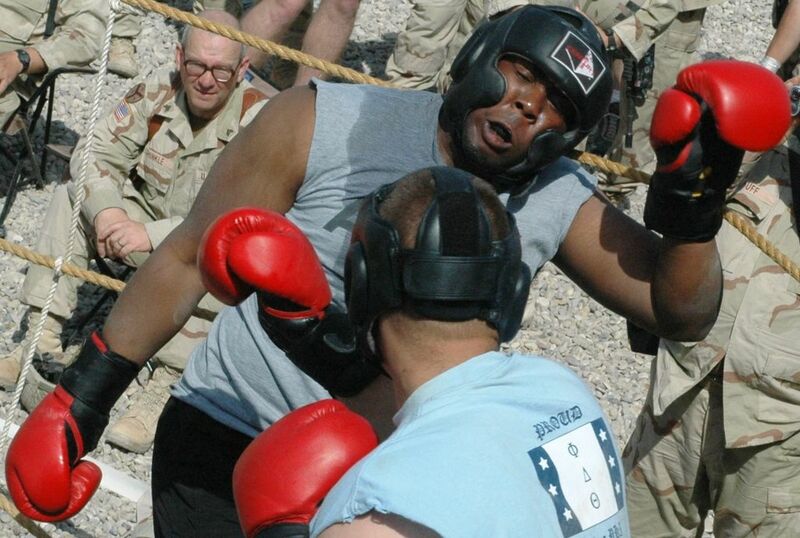 Nobody really cared which unit the fighters belonged to. They wanted to see men in the ring. He fell but he got up. They knocked each other down, then got up and kept fighting.